Drugs for the treatment of depression are increasingly prevalent. Antidepressants are the second-most prescribed drug in America and their usage jumped from 6.5 percent of the population in 2000 to 10.4 percent in 2010. 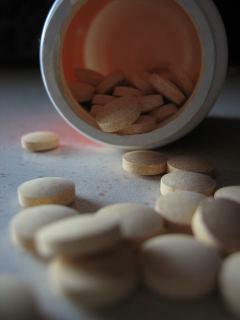 A 2011 study revealed that one in ten Americans take drugs to treat depression. What are the most common drugs used to treat depression? The most widely used drugs for depression treatment are categorized as SSRI (Selective Serotonin Reuptake Inhibitors) and include name brands such as Zoloft and Prozac. RxList provides an expanded list of antidepressants listed by category. Antidepressants work by balancing the chemicals in your brain that affect mood and emotions. These chemicals are called neurotransmitters. Balancing out the neurotransmitters can improve your mood, help you sleep better, and boost your appetite and concentration. While it’s difficult to gauge precisely, there seems to be a correlation between the success of antidepressants and the severity of the depression. In mild cases, the effect is minimal. But in severe cases, the effect of antidepressants can be significant. On a case-by-case basis, antidepressants can cause side effects such as increased appetites or weight gain, erectile dysfunction, constipation, blurred vision, anxiety, and more. Can certain drugs actually cause depression? Many medical professionals believe that depression is a side effect of some medications prescribed for other conditions. These medications include drugs for the treatment of acne, anxiety, insomnia, and more. Are there other ways to treat depression? If you are averse to taking drugs, there are alternative ways to treat your depression including exercise, diet changes, meditation, therapy, yoga, and acupuncture. Because depression can sometimes come as a result of an underlying medical condition, it’s important to first see a medical professional to determine your overall physical health. Check in online to see a FastMed professional today.